This article was originally published in 2015, removed for editing, and is now ready for reposting. A topic of conversation that often arises among young (and not-so-young) traditionally-minded Catholics is: “Can we do anything about the problem of female altar servers?” It is a problem worth solving and one that is capable of being solved, rather than a fateful mistake about which nothing can be done. Imagine you are a bishop, thinking about what a wreckage feminism has made of the Church in the Western world, as men continue to feel alienated, women no longer offer themselves to religious life, and a pathetic number of priestly vocations dribble in. You are planning to write a letter to your presbyterate, explaining why you are abrogating, in your diocese, the use of female altar servers. What might such a letter look like? How would you make the case? Praised be Jesus Christ! With this letter I announce, after careful consideration and prayerful reflection, an important change in the liturgical praxis of the Diocese of Bromptonville. 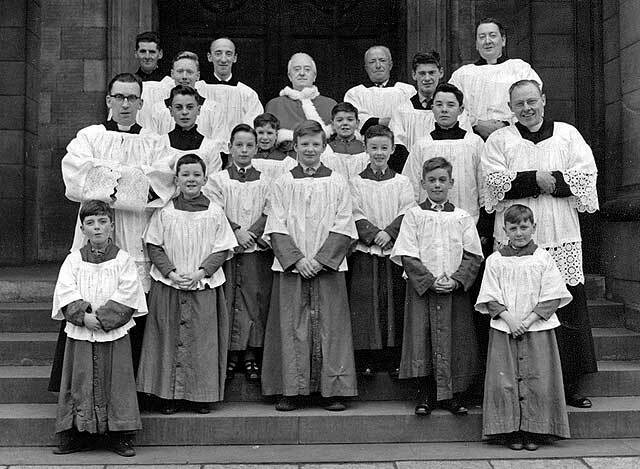 As you know, some time ago the Vatican allowed local Ordinaries to permit female altar servers because, due to Pope Paul VI’s suppression of the minor order of acolyte and reassignment of its duties to the office of instituted acolyte, this type of service appeared to be no longer directly connected with the path to priestly ordination. Indeed, in the old days, laymen, particularly boys, substituted for acolytes in most situations (hence the familiar term “altar boys”). At the same time, the Vatican made it clear that female altar servers are not required, may not be imposed against the will of a celebrant of any Mass, and do not cancel out the good of retaining the traditional practice of male-only service at the altar. With the wisdom of hindsight, we can now see that this experiment of admitting females to the service of the altar has proved problematic, for several reasons. 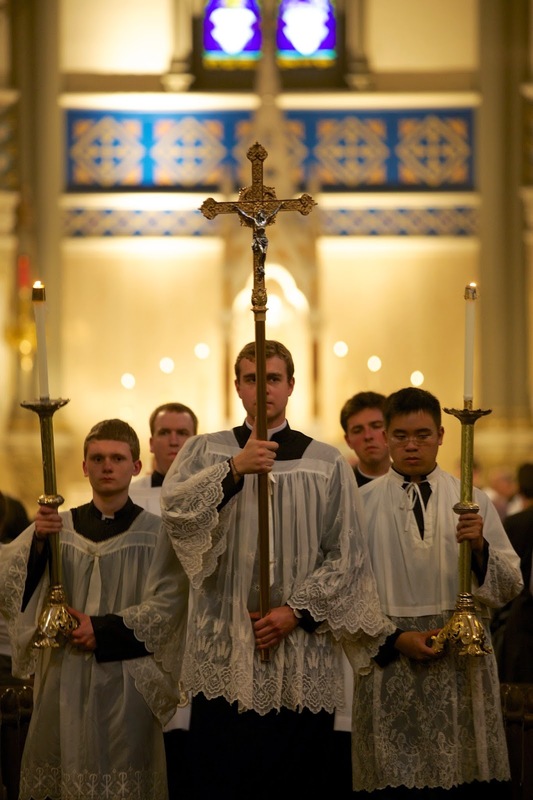 First, altar servers are visibly dedicated, both by their responsibilities and by their vestments, to ministering in the sanctuary at the altar of sacrifice. Theirs is a role that appears to be intimately associated with the offering of the Holy Sacrifice of the Mass. 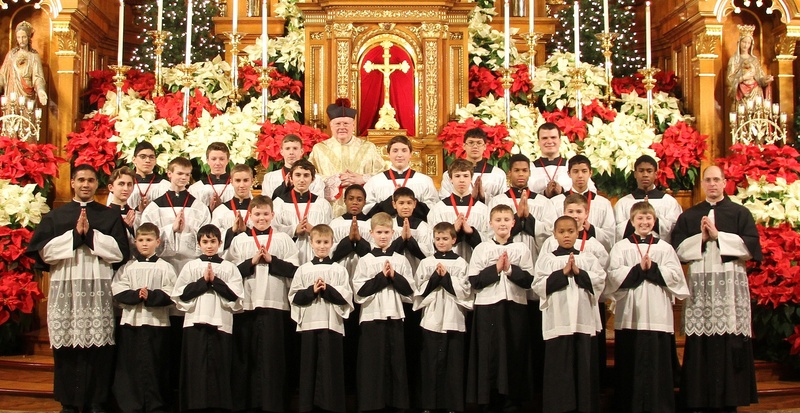 It was for this very reason that the discipline of training and working with altar servers was traditionally regarded as — and, in truth, still remains — a means of fostering vocations to the priesthood. To serve at the altar is to be involved in priestlike activities. Operative here is a language of symbols that is more powerful than mere words. Experience has shown that the now widespread presence of female altar servers in the sanctuary continues to create confusion among the faithful about the roles that women may legitimately play in the liturgical life of the Church. Again, the symbolism of a vested altar server ministering at the altar speaks more decisively than any catechesis. It is therefore no surprise that many Catholics, despite the definitive judgment of the Church expressed in John Paul II’s Ordinatio Sacerdotalis, feel that “altar girls” are a first step towards the eventual allowance of “women priests.” Such confusion on matters bound up with the very deposit of faith is not healthy for our faithful people. More profoundly, Pope John Paul II’s “theology of the body” helps us to understand that a whole realm of cosmic and metaphysical symbolism is literally embodied in man and woman. Even if we are not always consciously aware of this symbolism, it has a steady formative effect on our thoughts and attitudes at worship. It should not be simply ignored in the assignment and execution of liturgical roles. Modern society has shown a remarkable ability to ignore the obvious natural and God-given differences between the sexes, differences that support their complementarity. As grace builds on nature, so does Christian liturgy build on natural anthropology. Introducing confusion at so basic a level prevents the liturgy from exhibiting clearly the spousal relationship of Christ and the Church, where Christ is represented primarily by the celebrant offering sacrifice at the altar in the sanctuary, and the Church is represented primarily by the assembly of believers gathered in the nave to do Him homage and to receive His gifts. Finally, on a practical note, the placing together of boys and girls has had the effect, consistent with human nature, of driving away boys who might otherwise have been interested in serving or who might otherwise have been persuaded to serve. Boys and girls of certain ages either do not wish to be together, or find one another’s company distracting. A similar distraction is caused for laymen by older girls or fully-grown women in the sanctuary. If the “theology of the body” is true, and surely it is, we should have been able to foresee these problems and avoided them altogether by not having departed from the constant and universal custom of the Church in regard to altar servers. Moreover, boys enjoy the challenge of a demanding and regimented approach to serving, characterized by a manly esprit de corps. Mixed service cancels out this psychological advantage. Even beyond these concerns, the expansion of ministries to more and more lay people is characteristic of the “clericalization of the laity” and the “laicization of the clergy” against which John Paul II warned many times. The role of the laity is to sanctify the vast world outside the Church, not to take care of the sanctuary and its tasks. The holiness proper to the laity is best expressed when they participate in the liturgical rites by the responses and gestures appointed for them. This is the “spiritual worship” (Rom 12:1) that corresponds harmoniously to the sacerdotal and diaconal ministries exercised at the altar. Recognizing that the novelty of female altar servers was never to be required but only to be allowed at the discretion of the diocesan bishop, and recognizing also that male altar servers remain normative for the Roman Rite, the Vatican left the decision in this matter in the hands of the diocesan bishop. Accordingly, exercising my right to legislate, I decree that, as of the Solemnity of the Assumption, August 15, 2017, the use of female altar servers is altogether abrogated in this Diocese, and is to be discontinued without exception, all customs to the contrary notwithstanding. I shall send you a brief pastoral letter on this subject to be read from the pulpit early in June; it will also be published in the Bromptonville Catholic Register. When and as necessary, please prepare your parishioners for the change, emphasizing that it has nothing to do with a lack of appreciation of the countless gifts that women bring to each parish and to the Church. As John Paul II frequently emphasized, the Church is feminine, indeed motherly, in her deepest identity as Bride of Christ and Mother of the faithful, and this is why the Virgin Mary is the supreme model of the Christian disciple. Those who minister at the altar, on the other hand, do so not merely as disciples, but as representatives of Our Lord Jesus Christ, who is Eternal High Priest and Servant (Deacon). This role of representation is symbolically shared by other liturgical ministries, especially that of altar server. That is the fundamental basis of my decision, and I am sure that further reflection on it will show the wisdom of the hitherto unbroken Catholic tradition. I count on your understanding and support in this important step for the renewal of our diocesan liturgical worship, and ask that you speak with me personally if you have any concerns. So that is how it might be done, although undoubtedly a better letter could be drafted. One can only hope that, as the years go on, bishops will become more and more aware of the harm that has resulted from unheard-of innovations in the Roman Rite and will take the necessary steps to restore liturgical tradition, such as all-male service in the sanctuary. Although in the letter it is mentioned only in passing, I am convinced that part of the crisis of vocations to the priesthood stems from the lack of real “vocational training” in the form of a more demanding ministry for boys and young men in the sanctuary, connected with a richness of public worship that feeds the imagination and the intellect. When the liturgy is celebrated in a more traditional way, that is, with a certain solemnity, ritual beauty, and complexity, it exercises a mysterious and powerful fascination over the minds of youths. This experience of the sacred and its inherent worthiness has drawn more than a few men into the seminary, as I have witnessed in many different communities. In that sense, it is not rocket science to believe that nudging the liturgy towards greater solemnity and continuity with Catholic tradition, while curtailing female altar servers, cannot but be a most effective path to the promotion of priestly and religious vocations.